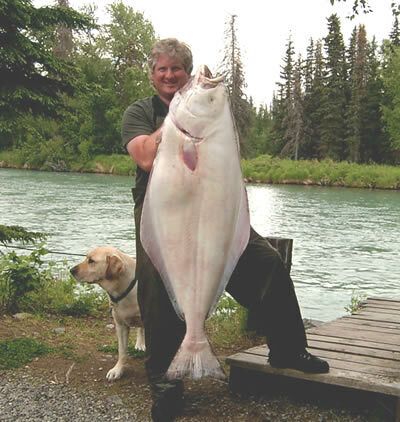 Fish the waters of Prince William Sound out of the scenic mountain-scaped port of Seward, and enjoy some of the most beautiful scenery Alaska has to offer while jigging the deep water for monster Halibut. Along the way, enjoy a chance to see humpback and killer whales (orca) as well as dall porpoise, sea lions, seals, and sea otters as they frolic in the waters alongside you. 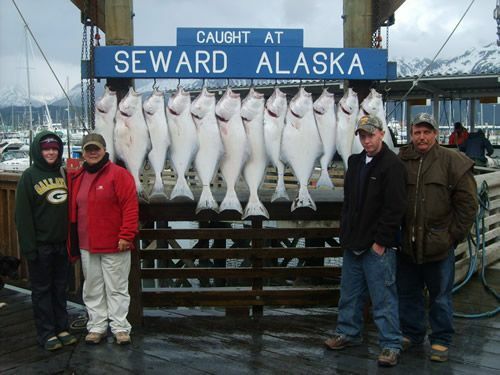 Seward trips range from $200~$250 per person depending on the time in the season and length of trip. They typically depart at 6:30 am and return around 5:00 pm. 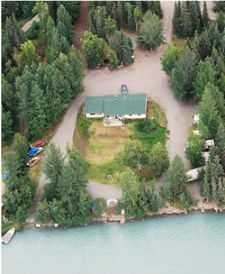 The fishing grounds are two hours or more from Seward, so this trip involves up to 4 or 5 hours of travel time round trip, with the remaining 5 hours or so for fishing. 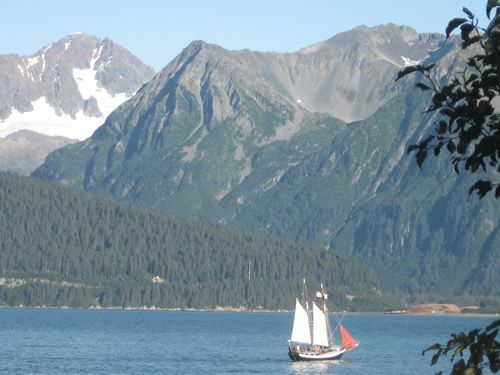 This trip takes in some incredible sights as you travel from Seward's protected Resurrection Bay out into the lower part of Prince William Sound around LaTouche and Montague Islands. 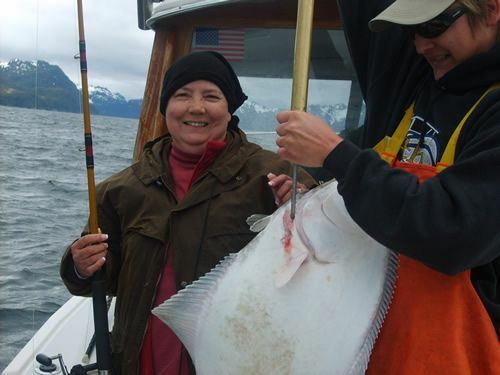 In addition to the wide variety of big saltwater fish including Halibut, Ling Cod, and Rockfish that Seward offers, You'll also have the opportunity to enjoy encounters with Prince William Sound's amazing marine life when you choose Seward saltwater fishing, as Orca (Killer Whales), Dall Porpoise, Gray Whales, Humpback Whales, Sea Lions, and Seals abound in these waters. The mountain views are majestic on a sunny day, with glacier capped mountains all around roamed freely by mountain goats, black bears, Sitka Blacktailed Deer and other wildlife. This trip is generally not suited for the very elderly or the very young, as the open ocean journey can be bouncy at times. Two types of boats are found in Seward, "Six Pack Boats" carry a maximum of 6 fishermen, and generally are a smaller boat (25'~30') and have limited cabin and bathroom facilities. The larger "Party" boats can carry up to around 20 fishermen and have more generous cabin and bathroom facilities. We prefer the latter for families, elderly, and children who want to have a more comfortable fishing experience. For privacy and small groups, the six pack option is a better choice. Send a Reservation Request today and get confirmation within 24 hours!